Komori Graphic Center-Europe (KGC-E), 'the heart' of Komori International (Europe) headquarters in Utrecht, The Netherlands, is always busy. 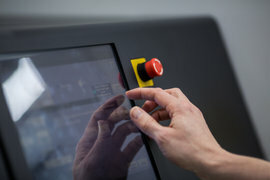 It holds demonstrations for printers from throughout Europe, the Middle East and Africa, provides training and has an active R&D Program. 'the heart' of our headquarters. It offers visitors the chance to see the latest Komori printing presses in action, as well as some fan favourites. We believe that KGC-E enables us to support our customers perfectly with tests, technical trainings, seminars and (regional) research and development -ultimately- overcoming tomorrow's challenges. One way to support our customers even better next year is by improving our own skills and expertise through training. Mr Ken Sagawa, President of Komori International Europe, welcomed over 400 visitors from all over Europe -and beyond- to this year’s Autumn Open House on November 7 and 8. 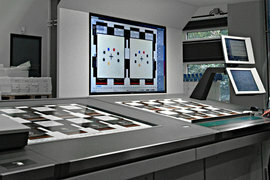 "Please visit the Komori Graphic Center-Europe to experience the full solution."